My name is Clare but most people online call me Nat or Nattie (or the cheeky sods who've known me for good awhile call me Auntie Nattie! ) . I've been a mod here since 2004 and a member since 2001. I live in a land even further away than CC but it's not cold over here! I'm an Australian, but let me assure you that there's no Kangaroos hoping down the main street contrary to what some people will insist! I'm fairly quiet and do most of my modding behind the scenes but I am always available if you need any help and I promise I don't bite. I have been collecting since ponies began but only have a very modest collection, mostly of G1s with some MIB (mint in box) G3s in the mix as well. At last count I had around 130 ponies. My favourite is most certainly the yellow variant of Moondancer who I've had since I was a child (and who looks rather the worse for wear!). My other great loves are horses and dogs. I'm no longer able to ride and have been horseless for a long time but I still love them. I have two dogs, a rough and a smooth collie. They are mother and son, we do various dog sports together and dabble a little in the conformation show ring. Please feel free to contact me if you need anything as after all that is what we're here for. 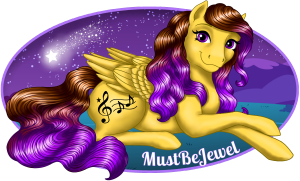 I am known as Jewel or MustBeJewel throughout the pony world. I'm from the state of Maryland in the USA, and I have been a part of the collecting community since 2000. I have been collecting ponies for as long as I can remember, since the first Cotton Candy which was given to me before I could even talk. Since then, my collection has grown from my childhood herd of 45 to over 3000 individual ponies from all over the world, some of them truly one-of-a-kind items. Click the link in my signature to take a look! Since 2003, I have been the hostess of the annual Maryland Pony Meet, a steadily growing gathering of pony collectors mostly from the eastern shore of the US, though in recent years, collectors have attended from clear across the country! I became a moderator here at the Trading Post in 2005, and as of this year I have become the new owner of the site. I really love interacting with and getting to know the people here, and I greatly look forward to doing all I can for the community. In my non-pony life, I earned my degree in Film, and I currently freelance in videography, editing, voice acting, and photography. In 2011, I completed my first documentary, (unsurprisingly) called My Little Obsession. In short, collecting ponies has opened up a crazy, quirky, wonderful world to me, both in my own personal experiences and the strong, lasting friendships I have made with fellow collectors. If there's ever anything I can help you with here at the MLPTP, or if you just want to say hi, feel free to drop me a PM anytime! My name is Karina / Peppermint Truly. I live in the San Francisco bay area in California USA with my dog Diesel. I work at a mobile app/web startup and I enjoy painting, PONIES (duh), horror movies, vintage cars, and many other things. I first showed up in the online pony scene when Mexican ponies first showed up and I've loved and been part of the TP ever since. 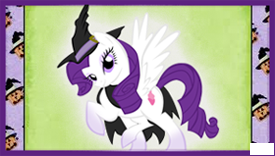 As for ponies, I especially love foreign/variant ponies from all over the world. Let's see, I guess pony interests first. I've been collecting ponies for pretty much my whole life, growing up in the 80's I had lots of ponies and they were my favorite toys. As I got a little older even though most of my toys were lost to yard sales or given away I always hung on to my ponies. Eventually they ended up boxed up and in the attic through most of my teen years. When I got into my late teens and people were starting to actually have computers in their homes and I discovered eBay in around 1999 my interest in ponies was reborn. I still remember sitting there looking for stuff on ebay when the idea popped in my head to search for MLP and my jaw dropped! I saw so many I had never seen before! Shortly after I learned about the collector's guide (Debra Birge's) and I ordered one of those too. I sat in my room going though it in awe of all the ponies I'd never seen before and I wanted them all! So then the ponies came down from the attic, I had about 50 from my childhood and I started buying them here and there off ebay and would look for them at thrift stores and such. Now 20 years later I have somewhere around 550 I think (haven't counted in a while) and I am proud to say I have a pony room I collect G1 exclusively and really have a soft spot for merchandise. My grail pony was the Argentina Feliz Navidad pony and I got her several Christmases ago (greatest Christmas EVER!) I've been a TP member since 2006, I remember thinking I was original and odd for loving MLP like I do and then the internet showed me I wasn't alone. Yay, for other crazy pony people!!! I live in VA, have been here my whole life. I'm married to my high school sweetheart. I don't have any kids (don't really like 'em honestly), we do have a dachshund, Frank who is my baby. I'm the office manager at a doctor's office. I love to cook/bake and I'm usually in the kitchen. I love holidays...all of 'em but especially Christmas. I go all out decorating for most everything and I love everything about it! I'm generally a home body, I prefer reading a book or working in the yard, watching TV, whatever but I'm not very social honestly. It's not that I don't like people it's just that I like being home in my PJs! I also collect/like The Little Mermaid, Eeyore, Charming Tails, most 80's toys, Garfield and Peanuts/Snoopy. So.... I've been a MOD for over a year and just realized I never posted here. I'm a bad pony. You can call me CJ (that's actually my for-real nick name from childhood) and I now live in the state of Arizona. I am originally from the Pacific NW and have also lived in New Mexico and Michigan. I am a dance teacher and choreographer and have been on faculty of university and college dance programs in many states, as well as private dance studios. I primarily specialize in ballet, but I also love modern dance. I have collected MLP since I was young and have my entire childhood collection (100+ ponies) as well as a ton I have added in adulthood. Actually, I can blame my resurgence of collecting (and my membership on the TP) on my husband who purchased a Dream Castle and Paradise Estate as Christmas gifts for me several years ago. In his search for them he stumbled across the TP and I ended up joining after Christmas. In addition to ponies, I love to sew and craft and love animals - birds in particular. We have two green cheek conures and a small flock of finches. We also have a very large, fat orange and white striped cat named Fezzik and recently added a flame point Siamese cat named Jackpot. He is half Fezzik's size and weight and they have become firm buddies. Uh oh... this little mod hasn't posted either. Derp! I'll be back when I have a brain to type a bio! 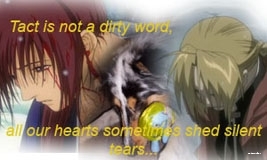 Edit: 2-20-2019. YEARS later I have not added info. I almost want to leave it like this again, then come back a in few years and make another excuse, but I gotta do this sometimes. So here we gooooooo! I am a freelance artist, and I run an animal shelter, caring for a multitude of critters, including a passle of real life ponies, one very spoiled horse and a llama who hates my son Action Hank, who is also a board member. My partner of 18 years is a Pony Fiend as well. The family that Ponies are never phony, or something that sounds clever... I'm relatively harmless unless cornered. That's probably all you need to know. My journey started when I bought my little sisters the Dream Castle and a Pony each for Christmas with babysitting money wayyyy back in the stone age, right after Ponies has just evolved from primordial ooze. My sisters loved them, but I coveted the toys I bought my darling siblings, I wanted to steal them. So, I tried to do the honorable thing and buy my own. And I did, for years. I loaded up on colourful equines and loved every minute of it. However, sorrow entered my world in 1999 because during a move, my huge tub of all my Ponies was stolen. I have never replaced them all, but I work at it here and there. Mainly I buy whatever bits I find at thrift stores or new releases. My ponies still mainly live in tubs. Where they plot my death. If I stop posting for too long, you know I am dead. DUN DUN DUNNNNNN! Otherwise I love to look at everyone's collections (even though I admit sometimes being very envious!) and chatting with all you great guys and gals. I am up all night, so if you need the late night mod with a fluffy bunny bod, I am your surly sod! PM me whenever you need! I am so stinking rhyme-tastic! And THAT is what I did for summer vacation. The end. I swear I wrote this sober, no matter how it appears otherwise.